After a day of fun in the sun, we were ready to check-in, go find food and then relax for the evening. 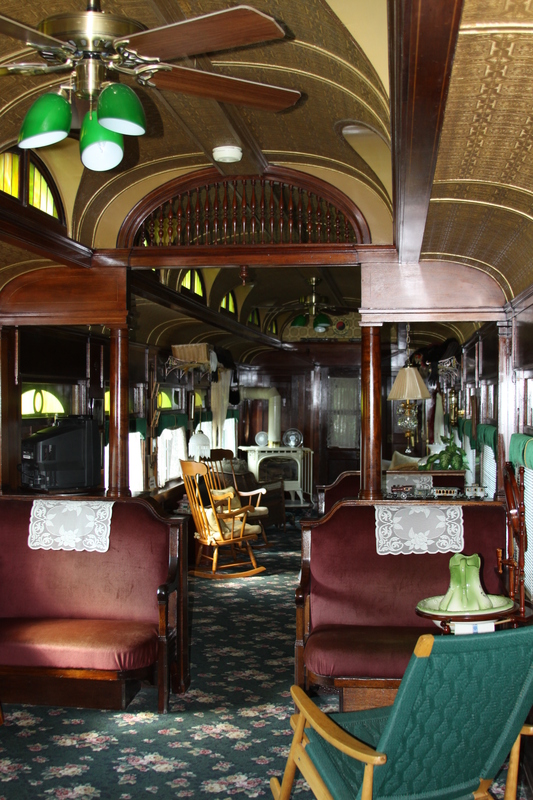 We immediately perked up as we drove up to the Whistle Stop Bed & Breakfast, though, and looked for our train car. First we went inside the inn to check in and were greeted by Jann (the owner) and one of the friendliest cats I’ve had the pleasure of meeting. It’s a lovely inn, with beautiful sitting areas that host a variety of social gatherings such as book club meetings and tea parties, and you can see why – it’s a cozy and inviting space with a victorian flair – large floral prints, dark stained wood and oil lamps. We were given the key to The Imperial car and were told breakfast would be brought out to us the next morning, before heading outside like the excited kids that we are. We opened the door that led into a small kitchen area and walked inside. There were so many tiny details to take in! The original lead windows, the decorating, it was all so well done and you could see how much love and attention went into it. 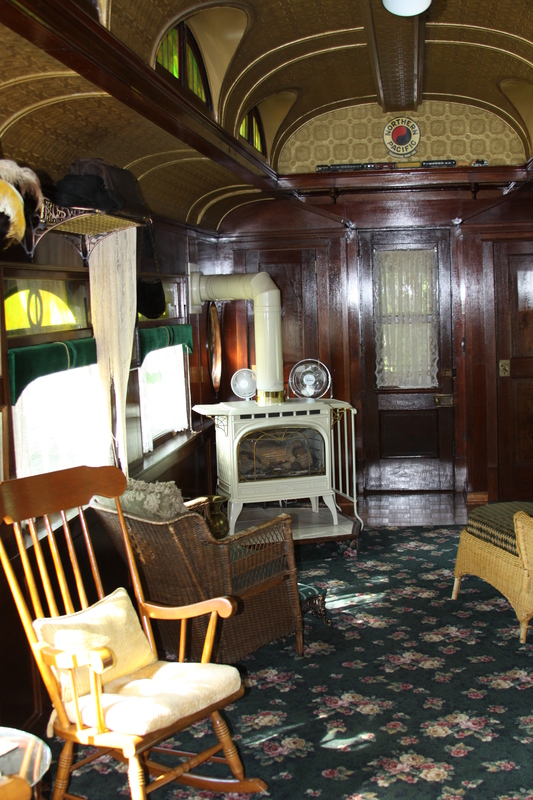 From the steamer trunks to the velvet cushions in the breakfast nook, it was all just perfect. We looked at everything, including the random collection of VHS tapes next to the tiny TV for guest’s viewing pleasure and hats and gloves tucked away in overhead storage. In one corner of the car was a nice gas stove, and for once I wished that it was colder outside so we could snuggle up in front of it. Perhaps a new winter destination? 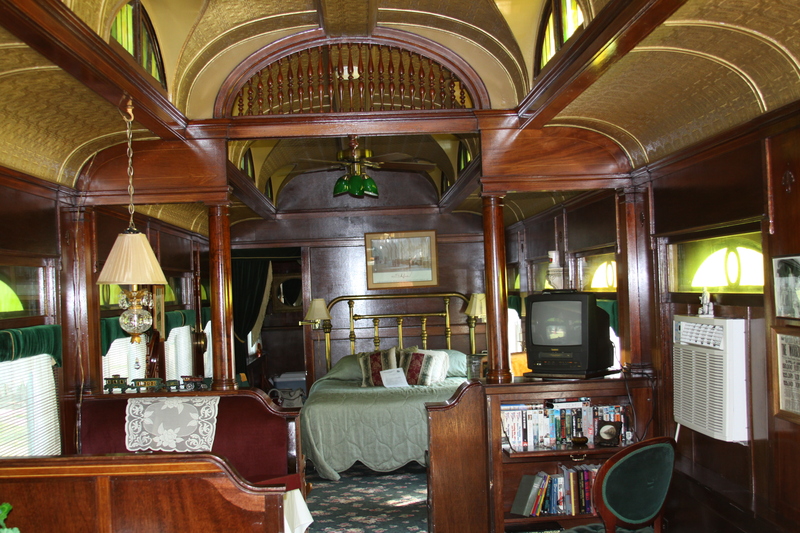 By far one of our favorite areas of the train car was the bathroom and the nice whirlpool tub. We soaked and drank champagne before wrapping ourselves in the nice big bathrobes provided and sat down to watch a movie whilst eating leftover wedding cake and finishing off the bottle. Then it was off to sleep in the comfy brass bed! 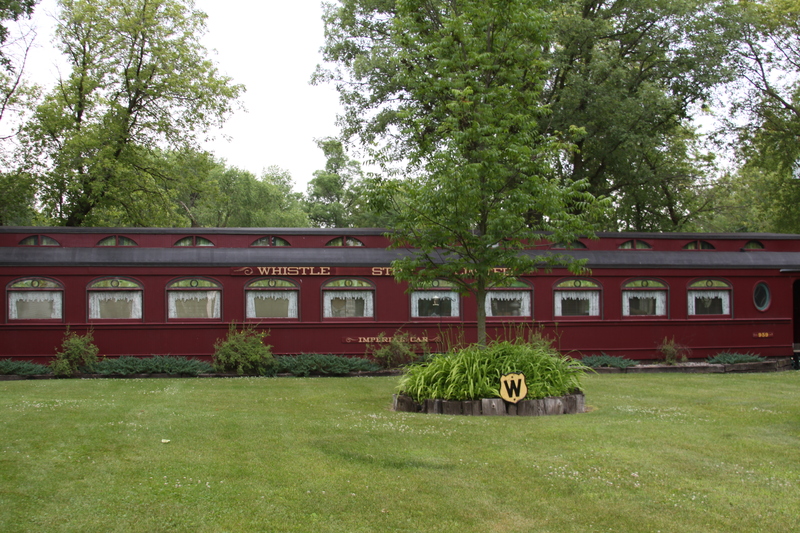 One thing to remember about sleeping at the Whistle Stop… you will actually wake up feeling like you’re on a train, and not just because you’re in a train car. About every 30 minutes a train would make it’s way through town blowing the whistle. We didn’t wake up at every whistle, but I think we each probably woke up at least 3 or 4 times. Over a delicious breakfast the next morning, we signed the guest book journal, and flipped through the highly entertaining photo album left in the room. 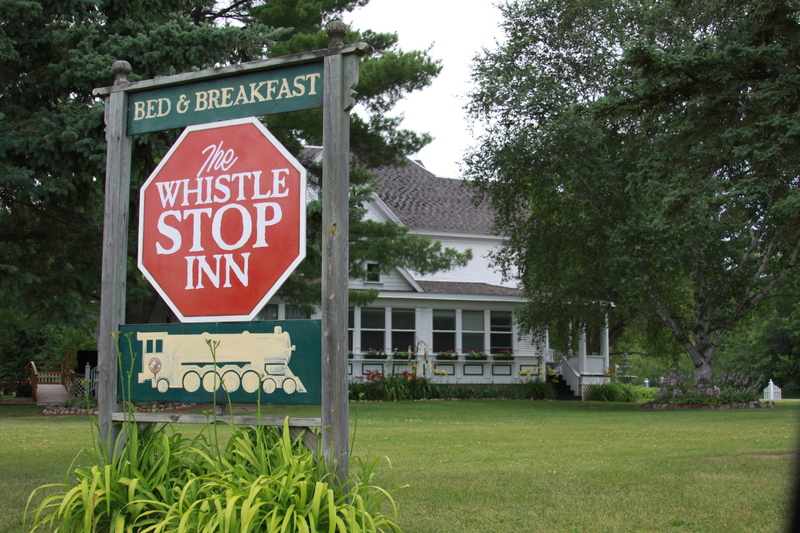 Jann and her husband had created an album documenting all of the work that went into making the Whistle Stop B&B, and it was so neat to see the whole process while stuffing ourselves with yummy blueberry goodness. After eating, we loaded up and said our good-byes, but not before checking out the other train cars (at Jann’s suggestion). Each one has so much character and we’d love to stay in them all, especially the newest, which wasn’t yet complete. We peeked inside and got a little tour from one of the men working on it, whom we discovered was from Durango, Colorado (where I’m from and where we met)! It never ceases to amaze me how small the world can be. The new car promises to be very luxurious, with an added sauna, and I only hope we can get back there soon! So, now it’s onward to our next adventure, and soon I shall have actual pictures up of our wedding, which we thought was rather spectacular. 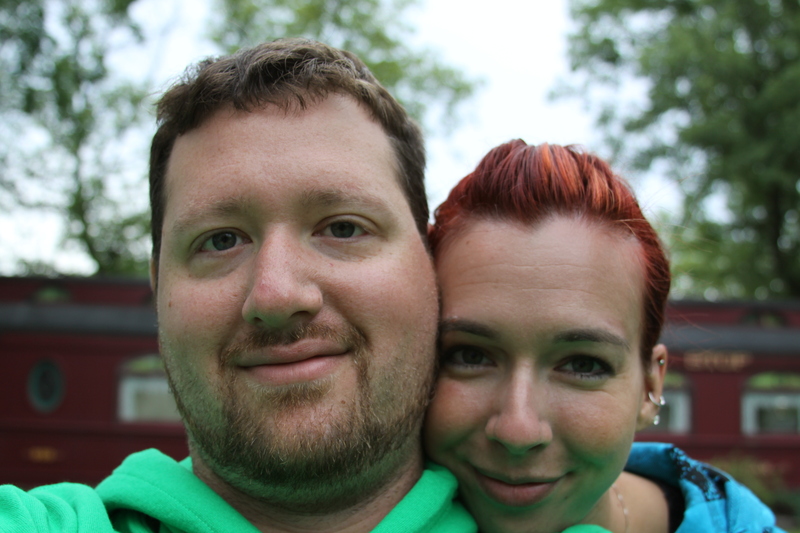 This entry was posted in Travel and tagged honeymoon. Bookmark the permalink. Hi, just wanted to stop by and thank you for participating in Coco+Kelley’s Custom Art by Erica Eriksdotter giveaway and for your lovely comment! I really enjoyed hearing you love the Lion Sun so much.